You know which organisation makes the most sightly products in the world? I hear “Apple”. Well I don’t regret it. But for me, it is the nature. Sometimes we keep searching tirelessly for the best of things, and finally come to know that it has always been there with us for long. One such phenomenon is nature. Since my childhood, the stunning beauty of the various weather phenomena has never ceased to amuse me. Its just fabulous. I used to read a lot about the science behind natural wonders. Be it the lightning, the rainbow or whatever. And among them, lightning, by far, is the most spectacular phenomenon I have ever seen. And the science behind it is much more amazing. In this post, I have chosen a specific question “What causes the thunder? Is it the clouds or the lightning itself?”. The question hit my head so hard, that I sprang out of bed and started reading about it. The source of thunder has been a subject of speculation and scientific enquiry for centuries. Briefly, my answer would be – The source of thunder is clouds if you are a 6th grade and lightning if you are a 12th grade. Baffled? But, this is how I was taught in my school. My primary school teacher said thunder is heard because the clouds “dash” against each other. How on hell could accumulated forms of water vapour literally DASH. But, with a bit of retrospection, it was the first ever speculation made on this subject by Aristotle in the third century BC. So here goes the real scientific reason of 21st century. 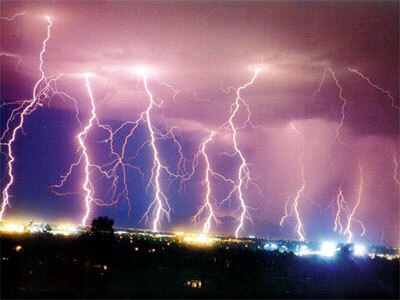 Lightning, one of the celestial forms of electric discharge, has a diameter of one to two inches. 90% of this electric discharge is released in the form of heat, which immediately dissipates into the atmosphere (Out of the remaining, 1% is dissipated in the form of sound, and the rest in the form of light). This heats the air surrounding it to about 70,000°C which is about three times the temperature of sun’s core. Now, we all know that “Air expands on heating”. This violent increase in the pressure and the temperature causes the surrounding air to expand in a blistering pace. And now on to the next fact “Hot air rises up” – This superheated air causes a shock wave that extends radially outward for a diameter of almost 30 feet and it spontaneously races upward at a rate faster than the speed of sound (A sonic boom – we could call it). 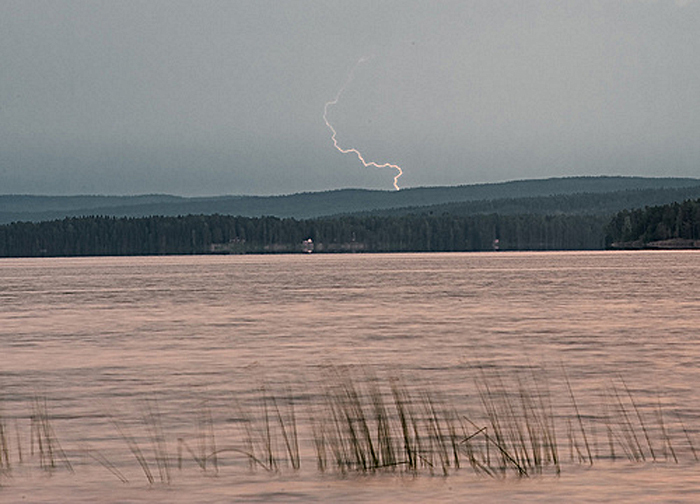 While this is in progress, as and when the lightning from the clouds connects to the ground, a second stroke of lightning will be shot back from the ground to the clouds tracing the very same channel as the first strike. 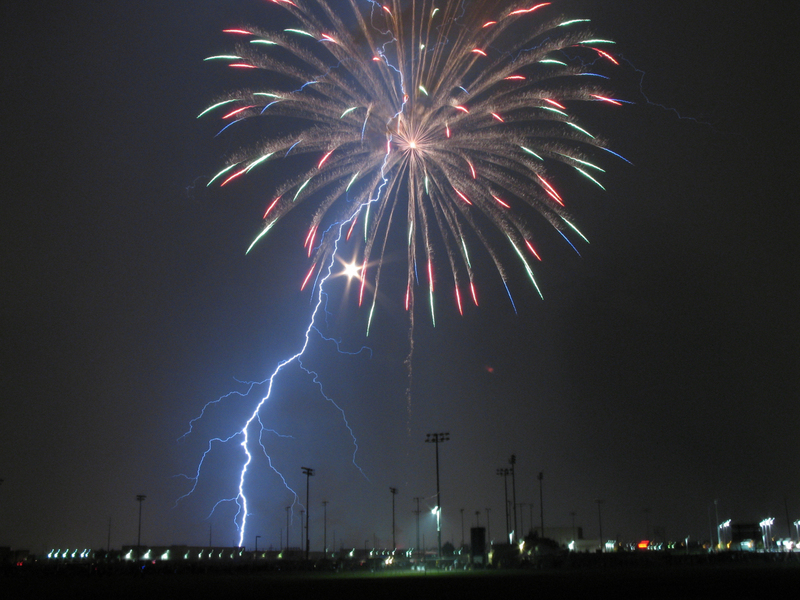 This is why we could see the lightning “withdrawing” from the ground. 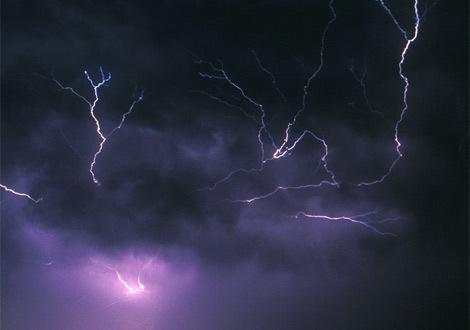 When lightning vanishes into the clouds, the superheated air, is rapidly cooled due to the surrounding air, thus rocketing the pressure to 100 times the atmospheric pressure. This haphazard expansion and contraction causes the column to vibrate like a tubular drum head and produces a tremendous crack. As the vibrations get dampened out, it generates a low rumbling which we call thunder. Now about the propagation of thunder, most of the lightning streaks are close to vertical since electricity follows the shortest route. Thus the shockwaves from the ground reach our ear first, followed by the shockwaves from higher altitudes (simple high school trigonometry). 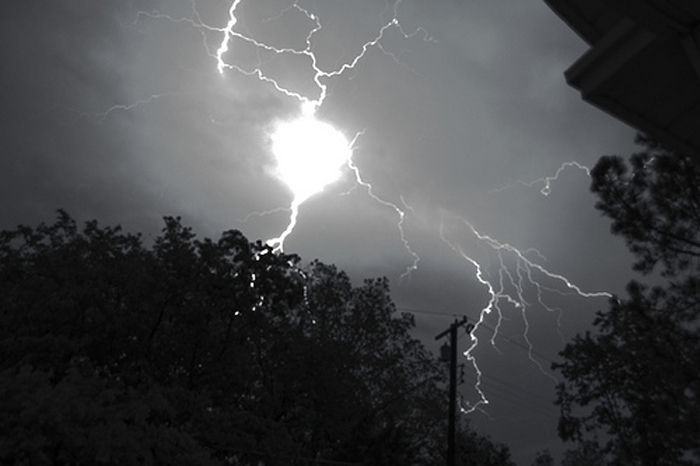 But when the lighting bolt forks out into innumerable branches, the intensity of the electric discharge is reduced considerably when it reaches the ground and thus the thunder’s sound pattern changes. Finally, let me wrap things up with awe-inspiring pictures of certain special forms of lightning. Like the stargazers, I would call myself a lightning-gazer. Talking about lightning, I thought the post would be complete, if I had discussed the science behind the creation of lightning too. To have the post brief, am saving it for the next post on “Fascination Physics”. Now its time for some eye-candy..